I suspect Anne and Prince would have a good time discussing clothes, as she was quite the fashion plate back in the day. I think she’d appreciate Prince’s fondness for the royal color purple, too. May your week be off to a good start, Jaded One. I asked her about Catherine of Aragon, and not surprisingly, she changed the subject. Poor Catherine, she got a really raw deal. I hope she’s enjoying her afterlife greatly. Have a great week, Cathy! Anne indeed still has spirit (pun intended, I assume). I thought it best to skip tea since, you know, awkward. I hope you’re doing well, Karen–and as always, please send my regards to RC. My fault for not paying proper homage in the first place. Aha! Then of course you and Anne are old friends. See you soon, My Lady! Don’t tell Anne, but I was always fascinated with the Mary Queen of Scots story. I did a report on her in fourth grade and devoured everything I could find. How’s that for grisly? But maybe Anne will forgive me when I say she is a superb interview subject. Very entertaining read! That’s pretty grisly, sister. But if it makes you feel better, I’d have been the one making the shoebox diorama depicting the beheading of Mary. We’d have made a formidable pair if we were in 4th grade together. We would’ve gotten an A+++ for sure! It comes as little surprise the Henry VIII didn’t have much behind the codpiece. They say he had small hands. I’ve heard this as well. Sounds like His Majesty might have been short-changed. I’m going to have to come over to your place for one of these. There are so many folks I’d love to meet! Join me, Elyse, we’ll see who we can scare up! Or scare away so we can just hang out! It is really nice to see you in the realm of my inbox! Thanks, Elyse, it’s so nice to hear! I won’t lie, I get my history lessons from your blog. I then pass on this learning to my children, who seem to do very poorly in school for some reason. You are so bitchy, Weebles (but in the best way possible). I was going to make a joke about that suit of armour, THAT codpiece, and that head… but no… some things are better left unsaid. You say the nicest things, Lewin. As for King Henry, he must have been concerned about his shortcomings. 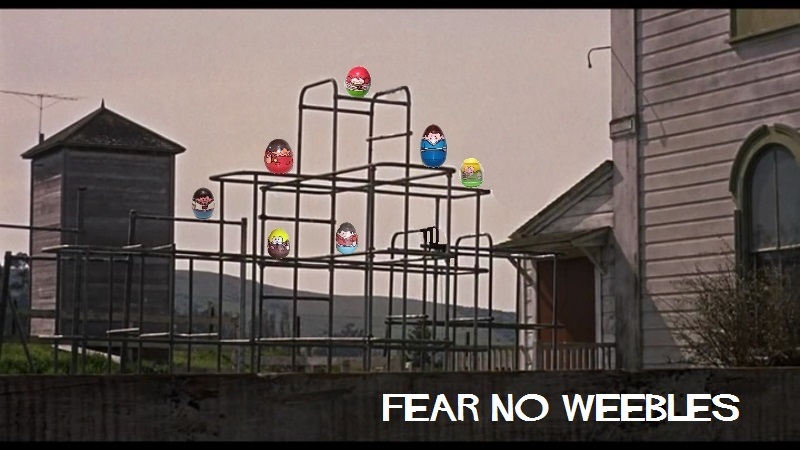 Don’t shoot me, Weebles. I’m a newly-minted pop with zero sleep in my life. You’ve got quite a brood there now, this is your 4th, yes? I trust everyone is well and healthy? Seriously, you are totally crazy with that memory, it’s startling. But yes on all accounts. I can’t help it. I remember everything. Even stuff I wish I could forget. I still remember phone numbers of people I haven’t seen in 30 years, their pets’ names, etc etc. It comes in handy though– most of the work I do requires knowing large quantities of info at all once, so it comes in handy to just remember it all vs looking it up. Wouldn’t it? We could find out all kinds of things that way, the next best thing to an actual time machine. Prince is indeed a huge loss. 2016 has been an especially bad year for bad losses, it seems. So, the codpiece was like an old-timey fish tank? I’m confused. And of all the fish to keep he chose cod? What a goofball! You ask the good questions, sir. Maybe that’s why it was so big. It wasn’t for his equipment, it was a sort of meal kit. Cod seems fairly awkward though, maybe something smaller like tilapia would be better. Supposedly, I’m somehow related to Mary Queen of Scots… I haven’t done the research myself, that’s just I was told. Now THAT is cool. So you’ve got Stuarts in your clan, eh? I’m pretty sure I have no royalty in my class–so far my genealogy has revealed nothing but poor farmers and workers who couldn’t read or write. More the salt of the earth type. If you find out more about your connection to poor old Mary, let us know! Yep, lots of Stuarts in the way back. I’m sure I’ll be interested in the who and when of it all eventually. Maybe when the little prince has to do a genealogy project. We’ll see. That would be pretty cool. That little prince of yours is adorable, and who knows, maybe the term “prince” is appropriate genealogically too, maybe he’d have been 1202nd in line for the throne or something. I’ve wondered about that, actually. I’d be a good proxy ruler until he came of age!! What? That is my normal laugh. I like a good evil laugh, personally. And technically since you’re his dad, you’d be a bit further up in line for the throne anyway, so I think you’d be able to rule in your own right. You know, unless the little prince got tired of waiting around and decided to have you bumped off. Watch your back, sir. Good point. He is not to be trusted!! Well done on bagging the exclusive rights to the interview, i know how tricky it can be to secure a one-on-one with a royal. You teased some good insights from her – an excellent post. You may understand the difficulty of snagging the royal interview better than most, Mr. Reclining Gentleman sir, being in the land of Anne Boleyn et al. Anne had some good dish, I would imagine they all have some juicy info to reveal. By the way, every time I have jasmine Earl Grey tea, I think of you. I had no idea such a thing existed before you mentioned it! Indeed, the posh and royal types don’t lower themselves to being interviewed by us commoners. Annie obviously recognised you as a lady of good standing, what with the Madame title. I bet she had some great “off the record” stories you weren’t allowed to publish too. Ah, the mighty JEG. what a tea. Sadly my supplies are depleted and I can’t find a source over here or on the net. I need to get to my favourite London backstreet tea emporium and see if they have any. Anne did indeed have a few extraordinarily ribald tales to tell but she swore me to secrecy, alas. I found JEG on Amazon, surely you can get some there? Unless you’re partial to a particular brand/blend? I hope you can replenish your stores soon, sir. To be without your tea is a crime. Well maybe i will have to visit so i can hear them in person then. I like how you’ve used “amazon” as a verb. Like google. There are far worse things than taking a day trip to London, surely you can find JEG there. Why thank you, i like to twist and shape the language wherever possible. Feel free to take the new verb and release it into the wild. I thank you, good sir. Anne and I had a good time, you’d think spectral disembodiment would cause problems for a spirit, but she makes it look good. And they have missed you. You totally should publish a series of interviews like this as history lesson books, you make history much more interesting and can bring it to the masses (and I don’t just mean your blog followers). That’s not a bad idea. There are a few spirits who would probably want royalties (you should pardon the pun in the case of Queen Anne) but I’m sure we could work out something suitable. I have no idea what they’d do with cash in the afterlife anyway. Hey, I just realized you’re a good person to ask: do you have a good recipe for jam roly poly? In theory I would have been a good person to ask, but it’s not something I’ve made before! I don’t tend to make those more old-fashioned heavy desserts, not that I don’t like them! I did just try searching for you online to see if Mary Berry had a recipe for one because that would be my choice of recipe if she did, but alas I can’t find one, so I can’t even helpfully point you in the right direction. I’ve failed you as a Brit! Drat. I’m surprised Mary Berry doesn’t have one. I’ll check with Delia, I’m sure she’s got a roly poly recipe or two. Learning history would be a lot more interesting this way, right? I’ll see if I can summon him, JM…if it’s any consolation, I have a brick wall GGG grandfather, so you’re one generation ahead of me. Codpieces… the antique version of a bright-yellow Hummer. You speak truth, Rants. Midlife crisis, Your Highness? No, just complete disdain for others’ crises. I loved the interview; however, I now have a new codpiece obsession. 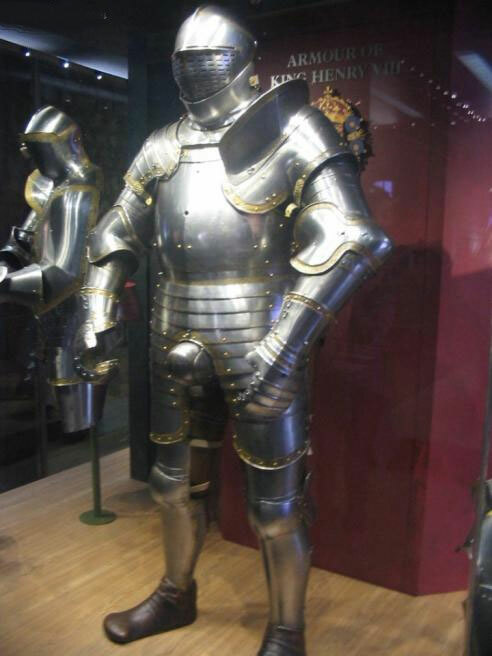 Other reasons behind the codpiece being over-inflated was due to syphilis. You could almost feel sorry for Henry VIII if he hadn’t been so gharstly to the women in his life! Ha! My childhood obsession…King Henry and all his wives. Story is that we too are related to Mary Queen of Scots as well, though I have not yet found any proof and suspect it to be mostly rumor having already debunked one rumor in our family history. Sure wish I had the memory you have, it’s times like these that it seems it might be useful.